Contest is over!! Thank you to everyone who entered! 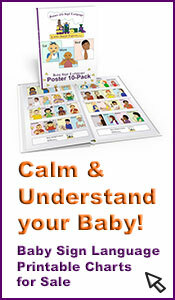 Win This FREE My Baby Can Talk DVD & Baby Sign Language Board Book! The Most Fun & Simplest, Contest on Earth! 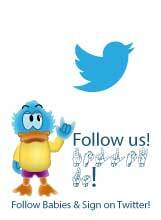 - Win simply by telling us anything you want to tell us about Baby Sign Language! Yep, Just Simply Tell Us About Your Baby Sign Language Experience! Any and All stories are welcome, as long as its about baby signing! Funny story about you’re your baby, toddler, preschooler, grandchild, niece, baby cousin, etc. 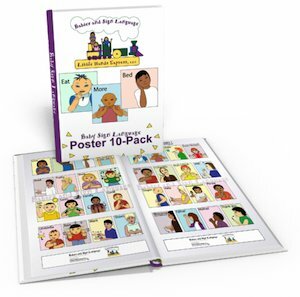 Favorite Baby Signing Aid (Toddler Signing Book, Baby Sign Video, Baby Sign Language eBook(s), Flash Cards, Songs, etc) and why? How you've dealt with a baby signing skeptic! Skies the limit! 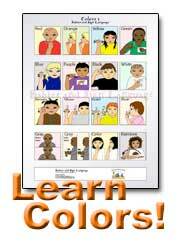 As long as it's related to sign language and your little one! Contest is over, thank you to everyone who entered! Using Baby Signs for Orphans in China. 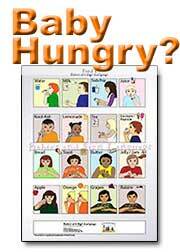 Learning signing for kids with speech and language delays. My son is 20 months old, He has 3 cousins that are 80 to 90% deff, And we are trying to teach him sign language so he can talk to them. I am a mother of a 16 month hard of hearing daughter. She wears hearing aids. we are starting to sign with her. and we love it.